Several high profile data releases are on the docket for the EUR/USD this week. The pair successfully rebounded from 12-year lows over the past two weeks, as the US dollar fell into a bearish reversal. 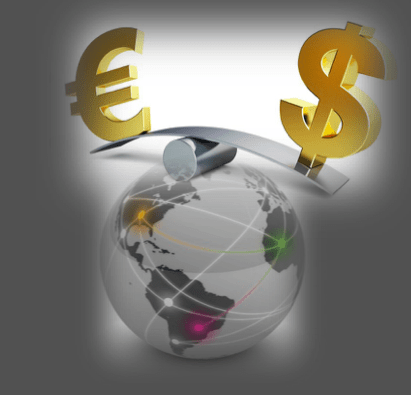 The EUR/USD was trading at 1.0883 in Monday’s Asian session. Near-term support is located at 1.0807. On the upside, initial resistance is likely to be found at 1.0955. The Federal Statistics Office will release preliminary German CPI. Inflation in Germany is forecast to rise at an annual rate of 0.3 percent in March, following a 0.1 percent advance the previous month. The harmonized index of consumer prices, the figure that is used to benchmark against the European Union, is forecast to rise 0.1 percent after falling 0.1 percent in February. In the United States, the Department of Commerce will report on personal income and outlays for February. Personal income from all sources is forecast to rise 0.3 percent and spending is expected to increase 0.2 percent. Separately, the National Association of Realtors will report on pending home sales for February, a forward-looking indicator of house sales. The European Commission will report on Eurozone CPI. Annual inflation in the 19-member currency bloc is forecast to decline 0.1 percent in March after dropping 0.3 percent the previous month. Separately, Germany will report on retail sales and unemployment. In the United States, the Conference Board will release the closely followed consumer confidence index. PMI data take centre stage in midweek trading. Markit Economics and the Institute for Supply Management will report on Eurozone and US manufacturing activity, respectively. Meanwhile, the ADP Institute will also report on US employment change for March. The European Central Bank will release the account of its previous monetary policy meetings, which provides the rationale behind the Governing Council’s monetary policy decisions. The closely followed report will also include an assessment of the Eurozone economy. The most notable US data release on this day is factory orders, which measure demand for durable and nondurable goods. The week’s biggest data release comes Friday when the Department of Labor reports on nonfarm payrolls. The US economy is believed to have added more than 240,000 jobs in March, marking the 14th consecutive month job creation had exceeded the 200,000 mark. Optimism about job creation will likely be held in check by weak income growth, as average hourly earnings are forecast to grow just 0.2 percent.